Student Voice is a senior summit group that give students the opportunity to have a voice on what goes on around school. They asked the kids what did they want to see happen throughout the school year and one of the things they asked for was a game night. There will be video games and board games. 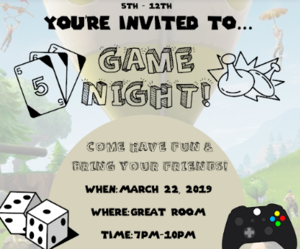 Come out and have fun at game night hosted by Student Voice. 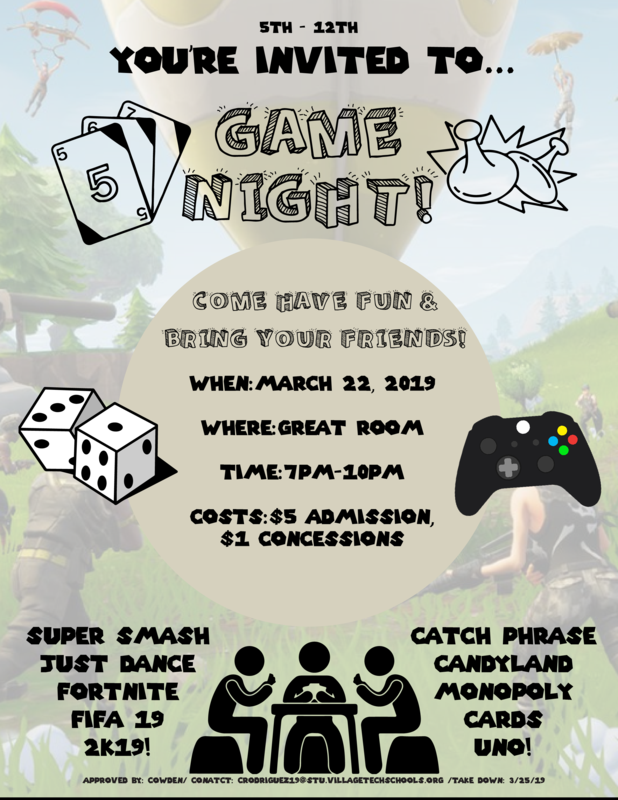 $5 dollar admissions and concessions are $1 and up.